Thank you for visiting this page to find out more about our work supporting young adult carer students like Emily. Hand-in-hand with thousands of your fellow alumni, we are enabling them to meet their caring responsibilities and achieve their ambitions. 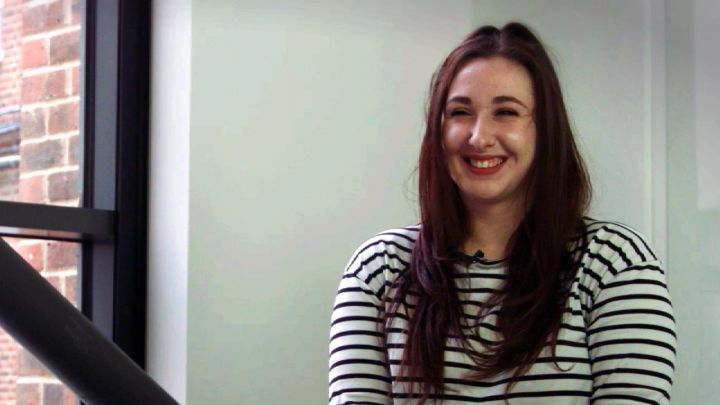 Watch our video and see if you would like to be part of transforming futures like Emily's. "University is transforming my future and that's because alumni like you decided to give a chance to students like me." We interviewed Emily so you could hear more about her in her own words. Message our students with your best advice. Alternatively, offer to have a call with one of the many Kingston students who don't have a ready network of role models working in your field. Transform the lives and opportunities of young carers like Emily. When you support our bursary fund, you ensure that we can keep supporting promising young people to succeed. Thank you for considering supporting this exceptional group of young people who would otherwise struggle to go to university. "Be true to who you are: your personal values, your own high standards and your desire to be the best that you can be."